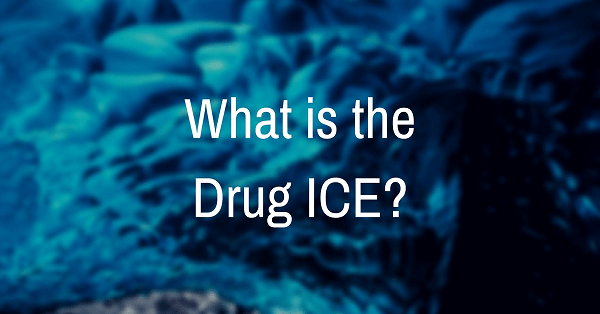 ICE is one of the most addictive and dangerous illegal substances in the world. It comes from the methamphetamine family. It is made by mixing pharmaceutical drugs with an array of toxic chemicals. Since it’s often manufactured in backyards, and elsewhere illegally, it’s virtually impossible to know its precise ingredients. Its various names include crystal meth, crystal and d-meth among others. According to the latest figures from the National Drug Survey in Australia, 2% of Australians are in use of the drug (1). In the United States, over 5% of people over the age of 12 have tried it. These are astonishing numbers (2). And the situation is getting worse. How Does ICE Affect the Brain? ICE use will affect the brain in a different number of ways. The act of using ICE changes serotonin regulation in the brain. Serotonin is a hormone responsible for mood, appetite and sleeping. Users will report elevated feelings of mood initially, as well as a reduced hunger overall (3). Many lose weight. The hit phase will typically last for 4 to 12 hours (4). Dopamine release, which is a feel good neurotransmitter and hormone, also gets released 1000 times higher than normal when ICE is consumed (5). This can have an array of effects. Users report increased clarity, energy and ability to focus during the initial ‘hit’. This dopamine release is thought to be one of the central addictive properties of ICE use (6). ICE use will also trigger noradrenaline, a neurotransmitter responsible for the flight or fight response (7). It’s often why users and addicts can become super aggressive quickly when they’re under the influence. This brain change creates one of the main problems when users turn up to hospital emergency wards. They may need urgent medical attention but their ability to be treated is hampered by violent and aggressive behaviour brought on by the ICE brain changes. When ICE eventually wears off, the brain cannot effectively restore it’s natural hormonal regulation processes. This results in the ‘come down’ response which can start after the hit phase of 4 to 12 hours. It’s said that the ‘come down’ is often the exact opposite of the ICE high. Poor concentration, scattered thoughts, and an inability to focus and make decisions with any sort of energy. A longer lasting come down can last for months depending on the length of ICE usage. Users with pre-existing mental health issues are likely to see increased mental health problems. Long term use can have other long term effects. Users often will grind and clench their teeth which can result in cracked and broken teeth (9). This is one of the potentially less severe ramifications of use. ICE is an appetite suppressant which is why users will often appear super thin and undernourished. Liver and kidneys can be significantly damaged because of the toxic contaminants (10). The more frequent ice use, the more likely the user will suffer effects that impact relationships, health and their future. Why Do People Take ICE? The reasons why people use ICE is much like the wider drug and alcohol problem. There can be multiple reasons and multiple influences. People already suffering from mental health conditions such as depression or anxiety, are more likely to suffer from substance abuse (11). Many remark that ICE use makes them feel normal. Some say it makes them feel as if they like themselves for the first time. These can be pretty powerful motivators to continue to abuse ICE, alcohol and other drugs. “ICE is incredible at the start. You feel invincible, like any goal can be achieved and you feel like your confidence is just exploding from your skin. You feel good, and you lose weight. You get stuff done because you can focus. You have energy that’s ongoing for days and then you crash. The slowdown starts and then the full come down when it completely wears off. Imagine the worst day of your life and times this by 100. This is what ‘coming down’ feels like. Your body and mind are breaking together. You feel dehydrated and weak. Food doesn’t work the same and your brain becomes extremely wired into anything negative. You forget what normal life is like because your brain is operating at a constant worthless frequency. Nothing makes sense, you can’t think yourself positive. You begin to be psychotic and you start to trust no one. You accuse people of lying to you and of conspiring to hurt you. You begin to see your non using friends as super judgemental even when they’re simply trying to support and help you. Even when they’re driving you to doctors appointments, you don’t want to believe they’re doing it for you. Your paranoia is off the charts. ICE is an incredibly destructive drug. If you need help for you or a loved one, you’re welcome to get in touch Barbara and her team for support on (03) 9826 0949.